The first unit of measurement of time that humans probably used was the cycle of day and night. Later, when it became necessary to account for longer periods, the lunar calendar appeared, which is simply to count the number of full moons in a given period. Hence the word "month", derived from "moon". But to get to our modern calendar we had to journey a long way. Greater accuracy is obtained by observing each new moon, or better yet, the thin crescent which with our natural satellite reappears after being in the same direction of the Sun. A day before, the Moon has been hidden by the glare of our star. With the rise of agriculture in Mesopotamia, now Iraq, the first civilized humans realized that in this region there are basically two seasons: winter and summer. One is bad for crops but the other is good. Thus they found a third time period: the year. The Babylonians were among the first to see a relationship between the amount of new moons and the year: the summer comes again after about twelve new moons. This knowledge then passed to the Greeks. Tradition says that the first Roman calendar was created by a descendant of Greeks: Romulus, who in 753 B.C.E. founded Rome. Ten new moons were counted, beginning with March (for the planet Mars, the god of war and purported father of Romulus), and immediately came the spring months: April (perhaps for "aperire", or the opening of the flowers), May and June, dedicated to various goddesses. The fifth month received simply the name of Quintilis, the sixth one the name of Sextilis, the seventh Septembris, the eighth one Octobris, the ninth Novembris and the tenth and last Decembris. Then came simply "the winter". In late winter, when they were sensing the approaching of spring again, they re-commenced the calendar. King Numa Pompilius, who succeeded Romulus, divided the winter in two more months: Januaris (January) dedicated to the god Janus, guardian of all doors, and Februarius, month of purification. Later, the gubernatorial year would begin on 1 January. But a lunar calendar has the problem that the 12 new moons are 354 days. The Romans realized (like the Babylonians) that spring took at least 360 days to return. Then they began to add 1 extra month if they noticed that one year ended and spring has not yet arrived (so did the Babylonians): the so-called "Intercalaris" month, added to the month of purification. The Roman calendar rolled fairly well during the following centuries, if not for the decision of placing an extra month or not depending exclusively on the "Pontifex Maximus", the high priest of Roman religion, allowing him to lengthen or shorten the period of certain rulers according to political moods. By the year 45 B.C.E. confusion reigned, so Julius Caesar decided to end the problem by regulating a completely new calendar. By those times Julius Caesar had been in Egypt, where he met Queen Cleopatra, and most importantly in this story, the astronomer Sosigenes of Alexandria. The Egyptians had been using for thousands of years ago an agricultural calendar based on the flooding of the so important Nile River, which bathed the desert margins with fertile sediment washed from tropical Africa. They had noticed that every time the star Sirius disappeared and days later reappeared, just before dawn, the flood came. This is because when the Earth turns around the Sun there are moments when the stars lying behind the Sun are not seen. Then the Earth continues its movement, and what was behind the Sun returns to be visible. This is a sidereal year. Of course, the priests said that was the divine Pharaoh who commanded the floods, and no wonder workers believed that the stars controlled their destinies. At first the Egyptians thought that this year had 365 days, and even tried a civil calendar with that number. But thereafter they realized that it too was going at a faster pace, although at smaller increments, in relation to the seasons. They had to insert something to synchronize it again, but now it was not an entire month but only 1 day every 4 years. Thus, the new calendar of Julius Caesar would have six months of 31 days and six months of 30 days, alternating. But February lost one day each 3 years out of 4, leaving it with 29. The word leap was called "bisextus", meaning "twice the sixth", because the day that was duplicated was the sixth day before the start of March (where Intercalaris was added), not the last day. Finally, to celebrate his great achievement, Julius Caesar re-denominated the month Quintilis as July. Legend has it that his successor, Caesar Augustus, also wanted a month for himself and redenominated Sextilis as August. But as this was 30 days long and not 31 as July, he ordered to take off another day from February and add this to August. In the year 1278 from the foundation of Rome, the monk Dionysius Exiguus prepared tables with future dates of the Easter ("Cyclus Paschalis," reprinted in the Volume 67 of "Patrologia Latina", Part 1 of "Cursus Patrologiae Completus", compiled by Jean-Paul Migne, Imprimiere Catholique, Paris, ca. 1849) but chose to date his work as the year 525 "since the incarnation of our Lord Jesus Christ". He apparently made ​​some miscalculations, but he can be forgiven because even the Bible is unclear on this point: Matthew says that Jesus of Nazareth was born during the reign of Herod the Great, who died probably in the year 4 B.C.E., but Luke says it was during a census being Quirinius governor of Syria, something that happened in the year 6 C.E. The Julian calendar was much better than previous ones and continued smoothly until the Middle Ages. But by 1563 the political power, now the Catholic Church, knew the calendar was out of sync again with the spring. Now the Easter was falling behind by 10 days. It is that in addition to the translation of the Earth around the Sun, there is one more movement involved in the coming of the seasons: the Earth has a wobble on its axis, similar to the dance we see in a top. This is called precession, and in the case of Earth is extremely slow, one cycle each 26 000 years. But it is enough to slightly alter the vision we have of the Sun from the Earth's surface, which is what commands the seasons. This is the solar year. 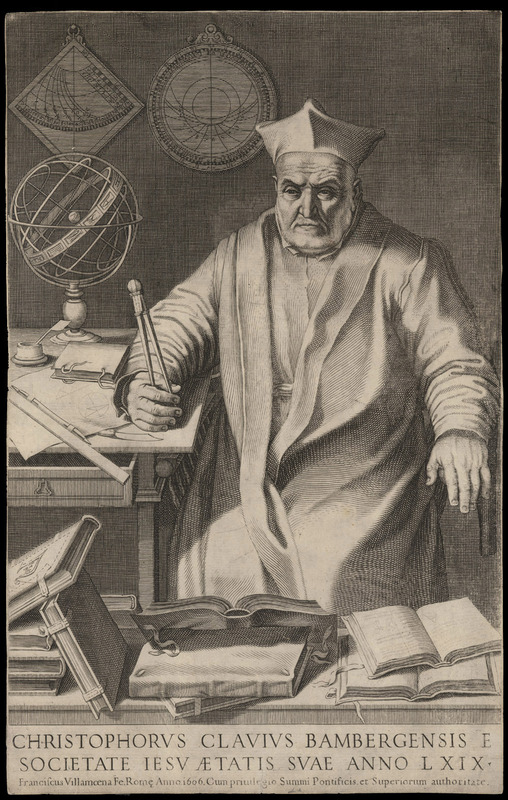 To synchronize the Julian calendar to the precession of the Earth, the Jesuit priest and astronomer Christopher Clavius, working on ideas of Aloysius Lilius, a professor at the University of Perugia, proposed making a subtle alteration: slightly accelerate the calendar by eliminating 3 days every 400 years. Specifically it was chosen not to observe the due leap years corresponding to the ending of the first three centuries in the cycle. So these 3 theoretical leap years in the centuries-long cycle remained with only 365 days, not 366. Back every fourth century ​​the end-of-the-century leap year was observed again, with its corresponding 366 days. And so on. So, the XVIIth century, the XVIIIth century and the XIXth century lost 1 day each (the years 1700, 1800 and 1900 were 365 days long and not 366, as it should have been in the old Julian calendar). By the fourth century of this innovative cycle, the XXth century, nothing was touched in relation to the Old Style calendar, so the year 2000 did have its 366 days, leap as it was due. One day is removed again from the 21st century: 2088, 2092 and 2096 will be leap years, but the year 2100 will not, as the formula goes. Thus in each four-century cycle, 3 days are erased, accelerating the calendar by that amount. With this subtle alteration the new calendar keeps an accuracy of 1 day in 3300 years. In 1582 Pope Gregory XIII ordered that the new timetable enter into force, but not before the Easter being placed in its proper place, which meant jumping abruptly from 4 October to 15 October of that year without going through the intervening days, the so-called days that never existed in History. Even though, one must be careful when reading historical records of countries that did not obey the pope immediately, like Britain or Russia. The anniversary of the Bolshevik Revolution of October 1917 should be remembered in early November. Despite these advances, we continue to use lunar calendars: in Paraguay for example, Maundy Thursday and Good Friday are movable civil holidays, for these dates are calculated according to Easter, which is the first Sunday after the first full moon of the spring in the Northern Hemisphere. And Astrology continues present: Monday is the day of the Moon (in Spanish, "Lunes" for "Luna"), Tuesday is the day of Mars ("Martes" for "Marte"), Wednesday is the day of Mercury ("Miércoles" for "Mercurio"), Thursday is the day of Jupiter ("Jueves" for "Júpiter"), Friday is the day of Venus ("Viernes" for "Venus"), which are Babylonian traditions. Saturday ("Sábado" for "Sabbat", the Sabbath) and Domingo ("Dominicus", the day of "Domini", the Lord) are Judeo-Christian traditions, but Saturday and Sunday in English are days of Saturn and the Sun. The Gregorian calendar is observed internationally, but that does not mean that other cultures have stopped using their traditional calendars. Eastern Orthodox Christians did not accept the calendar of Pope Gregory XIII and still use the Julian one. New Year's Day is now 14 days overdue. The Muslim calendar is a pure lunar calendar, which means that there are twelve months that are synchronized with each new moon (sighted at the evening). As the year ends in about 354 days and there are not days or months interspersed, it goes faster than the Gregorian calendar (and the seasons). The New Year is on 1 Muharram (11 September, in 2018), when the (lunar) year of 1440 from the first trip of Muhammad to the city of Medina begins. The Jewish calendar is similar to the Babylonian calendar, of 12 lunar months with intercalary months to synchronize it with the seasons as needed, while respecting a complicated formula. Days are counted at sundown. The New Year's day is on 1 Tishrei (10 September, in 2018), when the year 5779 "since the creation of the world" begins. The Indian National calendar is similar to the Gregorian calendar, but the moon is still observed for religious reasons. The National New Year will be on 1st Chaitra (22 March, in 2019), at 1941 years since the victory of king Shalivahana Saka over king Vikramaditya of Ujjayini. The Chinese calendar is similar to the Jewish calendar, but to synchronize the months with the moon and the years with the seasons modern astronomical methods are used. New Year's Day is on 1 of the First Month (5 February in 2019), when the year of the pig, with the element earth, of the 60-year cycle No. 79 enters. In fact, according to National Geographic, less than 35% of the world population celebrates the New Year with Westerners. If you want to share this article with others, you may establish an Internet link, but you cannot copy any part of this page. Copyright © 2006-2019. Reproduction prohibited. All rights reserved. Originally published in ABC Color, on 31 December 2006. Illustration: "Christopher Clavius ​​bambergian [from Bamberg, Germany] of the Society of Jesus [portrayed] when being in his 69th year" (sic), who was with Aloysius Lilius the most prominent member of the XVIth century Calendar Commission. Credit: Engraving presumably by Jean Leclerc based on a painting by Francisco Villamena, made in Rome in 1606 "with privilege of the Supreme Pontiff and Superior authority", 21,6 cm x 31,2 cm on sheet of 21,8 cm x 34,2 cm. Via "Scientific Identity: Portraits from the Dibner Library of the History of Science and Technology", with introductory essays by Deborah Jean Warner and Ronald Brashear, site design by Nicole Van Doren, scanned at 400 dpi with an Umax Mirage IIse machine by the Smithsonian Institution Libraries Imaging Center, Smithsonian Institution Libraries, Digital Collection, Washington, DC, 2003, available at: http://www.sil.si.edu. This image file is hosted in computer servers of the Smithsonian Institution; reproduction prohibited.